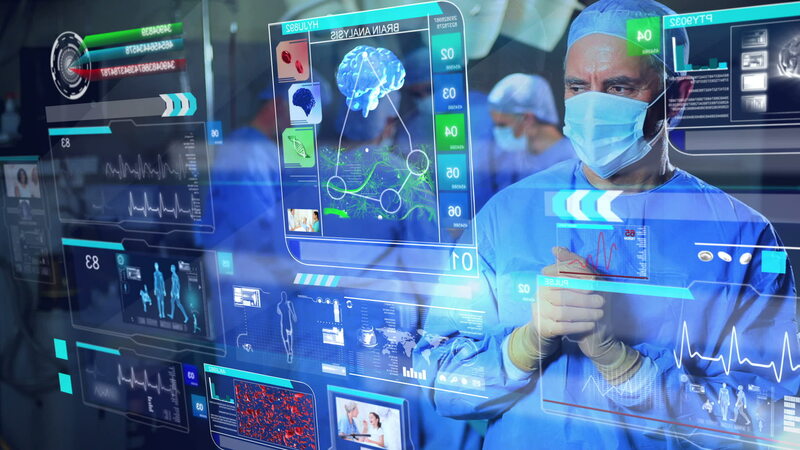 IoT in Healthcare: Are We There Yet? When you think about technology in the context of healthcare, it’s easy to understand why humans can never be replaced by machines. While numbers and data are key drivers of healthcare decisions, the human element can’t be ignored. The needs of the individual vary greatly from person to person and even when you compare two individuals with very similar issues, the right solution may be very different for each one. Tailoring solutions based on individual needs, lifestyle, and emotional concerns – this is something that a robot (so far) cannot accomplish. That said, there are many avenues in medicine where technology can deliver significant improvements. The implementation of EHRs, wearables, augmented reality, and apps that are connected to a data source have proven themselves as drivers of improved health outcomes, giving doctors and patients alike something to really be happy about. The market for IoT in healthcare is tapped to explode. The prediction is that by 2020, more than 161 million IoT healthcare devices will be deployed – that is a significant jump from the 101 million in use today, a number that is even more significant when you consider that in 2015, we were looking at only 46 million. The technology is here. It’s accessible. People are using it. It’s accepted. It’s starting to catch on. But does it really deliver? Let’s look at some of the pros and cons of IoT in healthcare as it stands right now. With access to the entirety of published knowledge (and a lot of irrelevant opinions) available in the palm of your hand or at your command, it’s easy for armchair diagnostics to get out of hand. What a smart search of your symptoms can tell you should be taken with a healthy grain of salt. The more viable approaches to IoT technology in healthcare extend to tools that can take actual data and turn it into insights. One brilliant example, already in wide use, is for the management of diabetes. Sensors attach to the body and report blood glucose levels continuously to a smart device. This eliminates the need for the patient to test and gives them real insights that could improve their overall health. Alerts can be shared with healthcare practitioners or family members to reinforce treatment goals. This alone will reduce the load on emergency rooms, first responders, and the doctors themselves, as patients are better able to self-manage their disease. Similar technologies exist for cardiac patients, allowing them to leave the hospital more quickly after surgery or heart attacks, thus reducing the load on the healthcare system. With wider adoption, this could reduce healthcare costs and improve care outcomes for all Americans. IoT in a hospital setting can also help with asset management. Sensors track the location of vital equipment, helping frontline workers find what they need more quickly and, potentially, save more lives in the process. These are just a few of the ways that IoT is enabling a healthier world. If you would like to learn more about IoT in healthcare and explore the available options, reach out today.